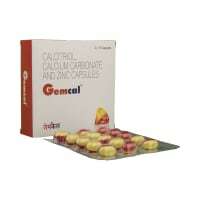 Foxstat 40 Tablet is used in the treatment of gout. Take this medicine in the dose and duration as advised by your doctor. Swallow it as a whole. Do not chew, crush or break it. Foxstat 40 Tablet may be taken with or without food, but it is better to take it at a fixed time. Foxstat 40 Tablet is a xanthine oxidase inhibitor. 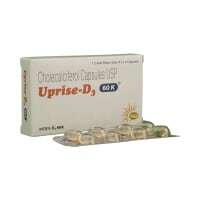 It works by decreasing blood uric acid, which is the chemical that causes gout. It is unsafe to consume alcohol with Foxstat 40 Tablet. Taking alcohol can increase your uric acid levels and hence aggravate gout. Foxstat 40 Tablet may be unsafe to use during pregnancy. Foxstat 40 Tablet is probably unsafe to use during lactation. Limited human data suggest that the drug could represent a significant risk to the baby. Foxstat 40 Tablet may cause dizziness, sleepiness, blurred vision, numbness or tingling sensation. This may affect your driving ability. 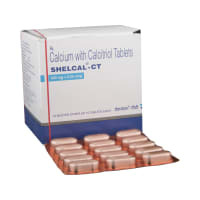 Foxstat 40 Tablet should be used with caution in patients with severe kidney disease. Dose adjustment of Foxstat 40 Tablet may be needed. Please consult your doctor. Limited information is available regarding the use of Foxstat 40 Tablet in these patients. Foxstat 40 Tablet should be used with caution in patients with severe liver disease. Dose adjustment of Foxstat 40 Tablet may be needed. Please consult your doctor. What if you miss a dose of Foxstat Tablet? If you miss a dose of Foxstat 40 Tablet, take it as soon as possible. However, if it is almost time for your next dose, skip the missed dose and go back to your regular schedule. Do not double the dose. Your doctor has prescribed Foxstat 40 Tablet to reduce episodes of gout attack. Take Foxstat 40 Tablet at the same time every day, with or without food. Take plenty of fluids (2-3 litres) daily while on Foxstat 40 Tablet. Notify your doctor if you develop a rash. This could be a sign of allergy and should go away on discontinuing Foxstat 40 Tablet. When you first start taking Foxstat 40 Tablet, you might have more gout attacks. Do not stop Foxstat 40 Tablet on having an acute attack of gout as that could make an attack worse. Do not consume alcohol while taking Foxstat 40 Tablet as it may cause your gout to flare up. Do you have any questions related to Foxstat 40 Tablet? What were the side-effects while using Foxstat 40 Tablet? How do you take Foxstat Tablet? What are you using Foxstat Tablet for? Q. How long does Foxstat take to work? After oral intake, the maximum effect of Foxstat can be seen between 1 to 1.5 hours of consumption. However, it may take a few days to weeks to show its effect and you can experience gout attacks during this time. Continue to take your medicine during this time as with continuous use these attacks would decrease. Q. Can I stop taking Foxstat if I feel well? No, keep using Foxstat if prescribed by your doctor, even if you feel well. If you stop taking Foxstat, your gout symptoms may return. Q. Does Foxstat cause frequent urination? No, Foxstat is not known to cause frequent urination. However, if you experience any such symptom while using the drug, consult your doctor. A licensed pharmacy from your nearest location will deliver Foxstat 40 Tablet. Once the pharmacy accepts your order, the details of the pharmacy will be shared with you. Acceptance of your order is based on the validity of your prescription and the availability of this medicine.